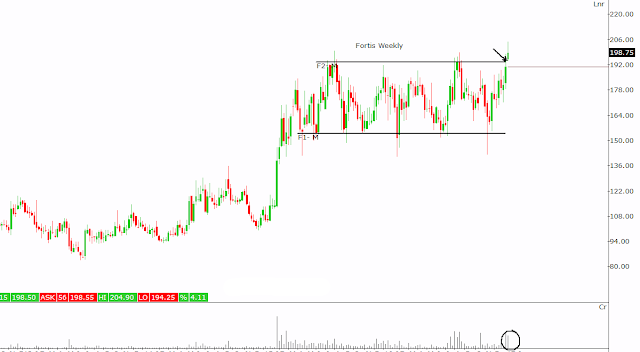 Fortis is breaking out of 10 months long rectangle. 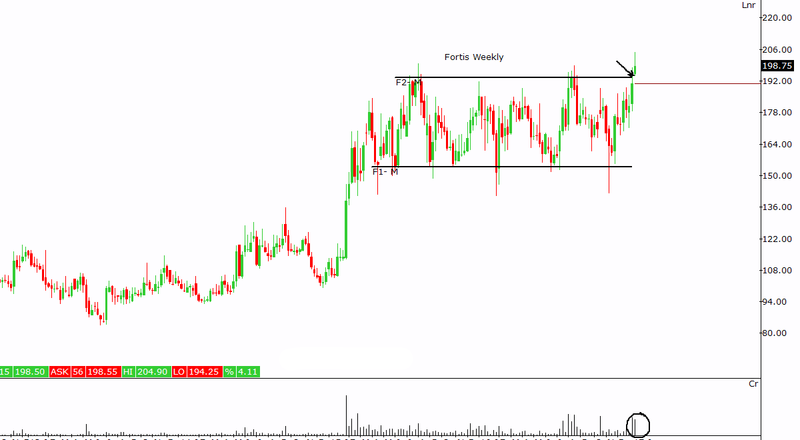 Here is weekly chart of Fortis, though the weekly candle is not closed as the week is yet to complete. We can anticipate that it will close with the nice breakout.